University College Dublin (UCD), the National Children’s Research Centre (NCRC), and the Children’s Medical and Research Foundation (CMRF) Crumlin has announced the appointment of Jonathan Bond to the newly established Brendan McGonnell UCD Professor of Paediatric Molecular Haemato-Oncology Chair. The result of an innovative partnership between the three organisations, this new professorship has been developed to advance research into paediatric and adolescent cancers of the blood, with the aim of improving survival rates for those affected. 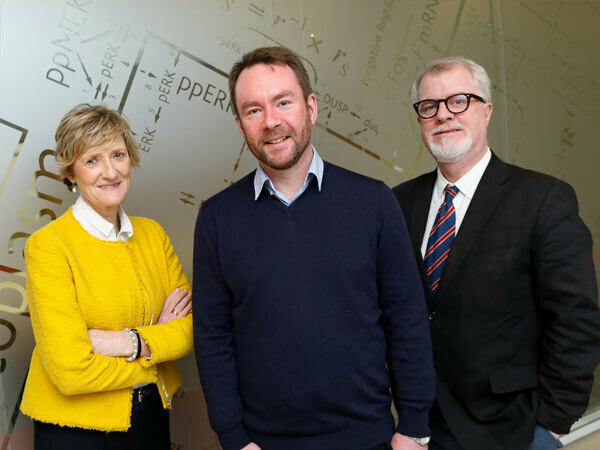 Based at the UCD School of Medicine, the new Chair is supported, under the NCRC Research Leadership Award Scheme, by a significant legacy donation from the late Mr Brendan McGonnell to CMRF Crumlin. “The NCRC Research Leadership Award Scheme aims to build research capacity in key areas of child health, and this new Chair at UCD will play a pivotal role in the development of a molecular and translational research programme into childhood blood cancers,” said Dr Jacinta Kelly, Chief Executive of the NCRC. Child and young adolescent haematological cancers account for approximately 40% of all cancers in children up to the age of 16. Professor Bond’s research programme, which will be carried out at Systems Biology Ireland, UCD, will focus on understanding how normal gene regulation is subverted in acute leukaemia with the ultimate goal of developing new and better treatments for every child and adolescent with this blood cancer.